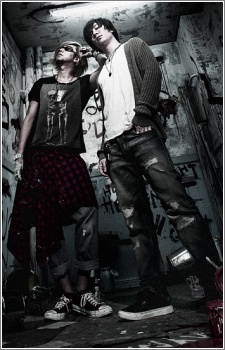 In February 15, 2010, YoHsKE and sae left the band. In November 1, 2010, YORKE. who is responsible for the artworks became an official member. In October 15, 2012, R・O・N left the band. Servamp Movie Theme Song "One Side" will be OLDCODEX's first digital single that will be available for download on April 7. Butlers: Chitose Momotose Monogatari theme song, not sure OP or ED. @y0shin0 try searching Tatsuhisa Suzuki. Servamp and god eater op is so masterpiece loved !!!! No voice acting role? But isn't the vocalist Takao from Kuroko no Basuke? It's hard to believe that Makoto's seiyuu is the one who sang Rage On, Catal Rhythm, Feed A, and Lantana. How can Tatsuhisa have a voice of an angel in Free and still be able to sing like this?